It’s true that Time Waits for No Person and it does fly by. Back in 2013 I wrote an article titled, Five Lessons Learned in Five Years of Business, where I reflected and elaborated on what I thought were the most important lessons I learned during my first five years of business. Do your homework first before you just dive into a new job or business. Double the money and double the time; that way you are not completely surprised when something costs or takes more time than originally intended. Stick with it to build something you are passionate about; work through the ups and downs and I bet you see yourself up over time. Everyone needs help especially when starting out; it can be as simple as positive support in the cause or something more substantial like financial assistance. Never stop learning because the world will pass you up. When I first started social media was just getting going and now it is an unstoppable force. To be honest, if I didn’t have a business, I would not participate in social media, but it is a necessary must in the business world. Trends like this need to be kept up with to help build a business. If you would like to read the original article check it out here. After five more years, a lot of ebbs and flows and a few gray hairs I decided to reflect and offer up five more lessons below to help me stay focused and for others to grow their businesses. Each year I do my best to drive my business forward and better serve the people who come to train with me. Looking forward towards the future is best but I do not like to completely forget the past; it is there where we can learn from either our successes or failures in hopes to refine what works to be the best we can be. In this article I will refine and add on to the five lessons I have learned in my first five years with now having been a decade in. I am a neat freak and I am a bit biased that it is mandatory one should be organized to get anything done successfully but the organization I am referring to does take time. You need a few years of work and many hours of trial and error to, Absorb what is useful, discard what is not, add what is uniquely your own, as said by the great Bruce Lee. After you get feedback and data from anything you do decide whether to keep it or discard and then find a way to add it to your system and keep it organized. That way you know the steps you need to replicate the process in a simple manner which helps others understand exactly what you are doing allowing them to execute or even enhance the process. I have kept track of the programs both for business and training and my goal, this year, is to get even more organized by going over the last 10 years and streamlining the programs and information to make it simpler and more accessible by consolidating the process and eliminating the duplicate and bloated work. Looking back this is very similar to my previous article’s Lesson 3: Stick with it but there is a refined difference. I knew I had to give it a chance for a good amount of time to see if the business would be sustainable. Building a business, a positive reputation and relationships with people who trust you takes a lot of time so sticking with it is important. Once you have kept it going; getting to the next level by refining and scaling your craft can be even harder. There are many days I do not know what I am doing, and it would be easier to stop and take a nap or move off the grid, but I keep telling myself that if I just keep moving, I can get over this hump. With the organization aspect, I create a weekly list of accomplishments written on a white board that I want to execute. Some of those tasks are easily accomplished and others I don’t know where to begin. If I keep moving and start the process, before I know it, the tasks are done, and I am just a little bit further than where I was. Create your goals, write them down and keep moving towards them. As the business gets bigger, the processes and the ability to execute everything in a proficient manner diminish unless you have help. I admit I still struggle with this from time to time by trying to do too much by myself. In this last year I was able to get help for both the athlete training and in an area I am least proficient at: marketing. Theoretically it is easy to get help; just hire someone who is qualified. However, there are more factors to consider including cost and desire. It costs money to hire someone (no kidding) however you must determine that the money you pay this person is, at least, setting you up to make more money and move the business forward in the future. It is also hard to find a person who is a fit for your business. No one will have the same passion for what you created but they need to buy in and project the experience you are trying to provide for your clients and this is easier said than done. It took me a while to find a trainer and a marketing person who really wanted to learn about the business and understand what we stand for and how to portray that even better going forward with their own ideas and execution. Giving back is not only good for the community but it is great for the soul. The good news is, giving back does not necessarily mean a huge monetary donation, in fact, creating a community event is a far better experience. It’s inevitable that you will run across many positively influential people in your work and neighboring community who help make a positive impact in society and this is a great opportunity to get involved and use your skills to help out. 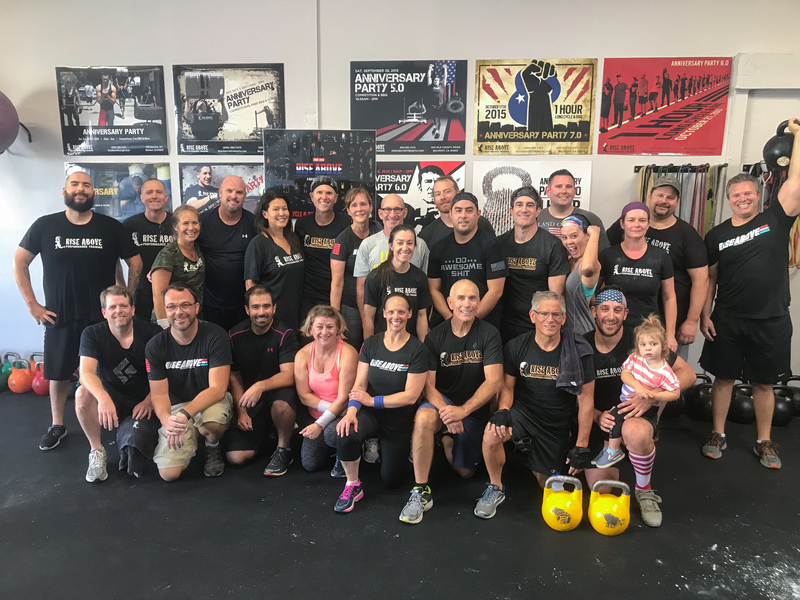 Every year I have participated in the kettlebell one hour long cycle and I was able to bring that event to my gym and get our members involved by participating and donating to the global event. 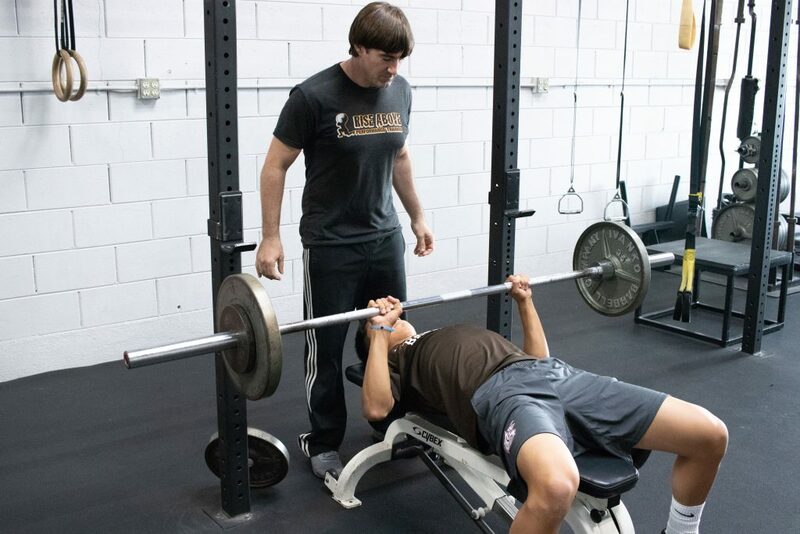 Not only do we raise money each year for the designated charity; we get a great workout and I feel it bring the members of the gym closer together year after year. It is a true community event that breeds nothing but success and support for people of the community. Create an event like this for your business and watch the positive impact reap many benefits. As a business owner, hardworking employee, family person and anything else that competes for your time; fixation on one aspect for too long can create a static lifestyle; always strive to get better. Having a malleable vision allows for one to create a better life by learning from the past, taking a breath and giving a smile in the present moment and fabricating grandiose dreams of the future. Visualize all these things daily and keep them in a positive light and create the future you desire. I plan on living by this and being here in the next five years to update this article.